The Sowing Peace Initiative had a very successful first event. You can read about it at http://sowingpeace.ca/. Many more events are to come. At the present we are concentrating our efforts on London, Ontario, but I plan to hop on my bicycle and go wherever in the future. 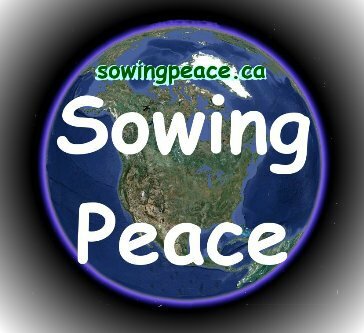 If you are interested in the Sowing Peace Initiative and would like to have an event to promote sowing the seeds of peace, you can use the contact form on my main page or leave a comment on this blog. I will go when I can, but if I can’t make it, don’t let that stop you from holding the event. You may use resources on or linked to any of my web sites were applicable. Some restriction may apply to how some information is used, depending on who the copyright owner is, but most information can be used for planning events. 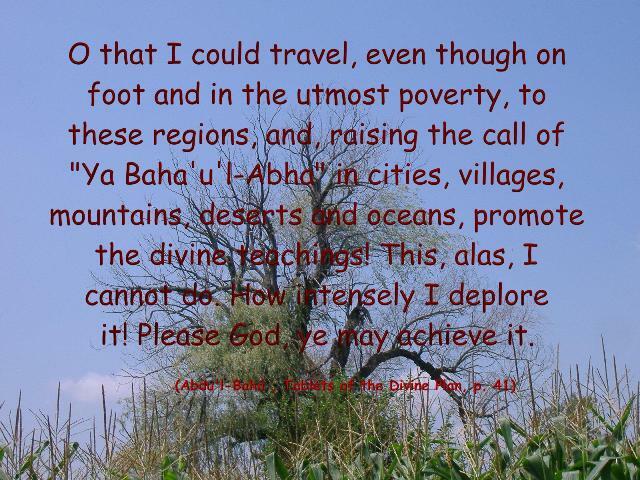 ‘Abdu’l-Bahá was a great peace ambassador. Many of his talks and writings are available on line. You can check the links on >http://sowingpeace.ca/ to find many of them. Feel free to contact me or leave a comment if you want any more information on the Sowing Peace initiative. Think Peace and we will have peace.